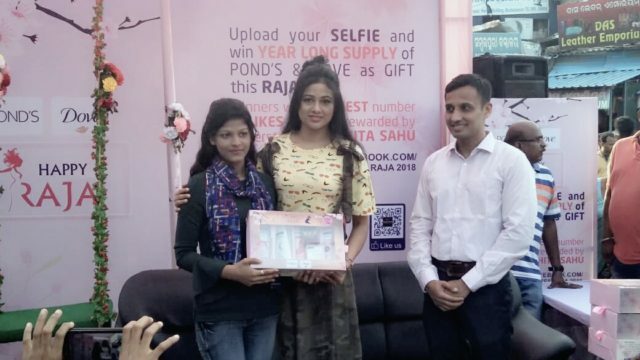 Bhubaneswar: India’s leading personal care brand Pond’s & Dove, has taken an initiative to celebrate Raja Festival in Bhubaneswar on 16th June, 2018. Noted Actress, Archita Sahu and Mr Vikrant Shinde, Consumer Cluster Head, Orissa & Jharkhand, Hindustan Unilever Limited were present to grace the occasion. Raja festival is a four-day-long affair and it marks the beginning of the solar month when the season of rains starts. It marks the sowing season in Odisha. It is believed that the Mother Earth is also interpreted as the first day of the three-day menstruation period of the divine wife of Lord Vishnu. During these three days women are given a break from household work. Girls deck themselves up with traditional Saree and alatha on their feet. The event had garnered positive response from the audience. 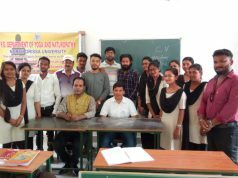 The event was held from 14th June to 17th June, 2018. More than posts had been uploaded in the Facebook page.